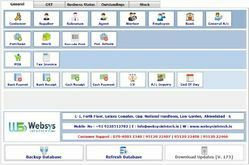 POS Software, Point Of Sale Software Online, Latest Price, Manufacturers, Wholesalers & Suppliers in Ahmedabad, अहमदाबाद, Gujarat. Aimed at a prosperous growth in this domain, we are instrumental in offering an excellent quality range of POS Retail Software. Our organization is rendering POS System Installation Service. This service is completed at low prices. This service is handled by professionals who have affluent industry practice and skill. Additionally, this service is widely admired in the market for their timely completion. 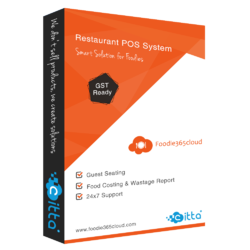 • This Software is Windows Based Restaurant Billing & Management Software. This software includes Sales Billing, Purchase details, Store Inventory, Party Booking facility, Cash flow details, Expense details, Live Table View and many more other features. We develop online POS with inventory, purchase, quotes and many more functionalists. ITCPOS available with offline single user, multi user with online server synchronization. which inclued Customers Data, Items, Offers, Billing, Accounting, Stock, Stock Transfer, SMS and many more features. Since our inception, we are instrumental in offering Point of Sale Software. Sell All Your Products at Markets or In-stores Without Any Hassle! Why are many retail organizations adopting the point-of-sale systems for their business Not only retail, today even sectors like aviation are adopting this technology. The objective is to give ease of access to customers and keep engaging with them. With iWant Smart POS you can now sell your products and process any payments on any required device. The good news is you don’t have to spend time managing data and just concentrate on sales. iWant will provide you the complete Point of Sales solution for your retail business with end-to-end hardware, software, market place Integration, customer care and loyalty benefits.